The 10 Best Gelato Places in Colorado! Find delectable and authentic Italian gelato right here in the Centennial State. Now for those who don’t know, gelato is not the same as ice cream. Gelato, meaning “frozen” in Italian, is served about 10 degrees warmer than ice cream and has less butterfat, and ultimately less calories, than its American counterpart. Said to be more flavorful than ice cream due to containing less air, gelato is either made with fruits or milk. Find classic gelato flavors, like stracciatella, or discover a new favorite at these 10 best gelato places in Colorado. This gelato shop has two locations in Boulder and strives to make everything from scratch with local ingredients. You won’t find artificial flavors at Fior di Latte. What you will find is gelato that competes with Italian gelatos. The owners of Fior di Latte even trained in Italy to learn the trade of making authentic Italian gelato. Find your favorite classic flavor of gelato or dare to try a new flavor unique to Fior di Latte. For those interested in a variety of flavors, Glacier Homemade Ice Cream and Gelato is the place to visit. 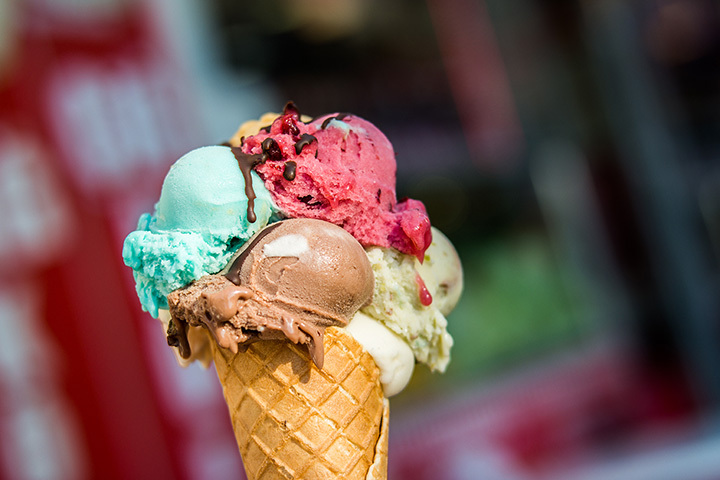 One thousand flavors of ice cream, gelato and sorbet have been created since its opening in 2001. Glacier creates these cold, tasty treats with local ingredients—even the hot fudge is made from scratch. The flavors offered at Glacier rotate every week. The chocolate mousse gelato is a fan favorite while the Nutella gelato will make Nutella lovers drool. Paciugo Gelato and Caffe was founded by a woman that knows Italian gelato. She grew up in Italy, studied the art of gelato making and then worked at an established gelateria in Italy. When she moved to the United States, she ended up creating a gelato empire. Now Paciugo Gelato and Caffe locations have spread all over the U.S., including Lakewood. The gelato at this gelato-chain is made from fresh fruit and natural ingredients. The gelato menu at Amore Gelato in Denver changes daily. So no matter what day you’re craving gelato, there is sure to be a new flavor for you to try. Expect large portions and friendly service. The hand-crafted gelato at Amore is sure to satisfy your sweet tooth. If you’re interested in fresh gelato made with locally-sourced ingredients, then Gelato Junction is the shop for you. All the gelato made at Gelato Junction has locally-grown fruits and dairy products. Enjoy your frozen treat in a cup, cone or chocolate-dipped waffle bowl. For special occasions, consider a custom gelato pie, which is sure to be a crowd pleaser. For gelato-lovers on a budget, Rizuto's Ice Cream in Colorado Springs offers the best prices around for the Italian treat. Rizuto’s menu contains over 40,000 combinations of ice creams, gelatos and sorbets. However the authentic Italian gelato is always a winning choice since it is made in-house at Rizuto’s. Briccy’s Coffee serves more than just gelato, however this coffeehouse has made a name for itself in the gelato world for offering topnotch gelato. With unique concoctions like honey lavender, Briccy’s will please the gelato enthusiast. Try an affogato while you’re here, which is a shot of espresso over a scoop of gelato. Find 24 delicious gelato flavors served every day at Rimini Gelato & Chocolate. There are actually two locations, one in Beaver Creek Ski Area and another in Vail. The display case will get your mouth watering. Feel free to sample a couple options before you decide. For those who are lactose intolerant, there are sorbets and even a chocolate-flavored gelato that is dairy-free. Repicci’s Italian Ice & Gelato serves the Denver area by food truck. This gelato chain has numerous locations nationwide, but the authentic Italian recipe stays the same. Since Repicci’s is a food truck, you may not find it in the same spot but keep an eye out for it at corporate events, festivals and fairs in the Denver metro area. When it comes to the gelato at Repicci's, expect no artificial flavors or preservatives. Located in Steamboat Springs, Ciao Gelato offers flavorful gelato to locals and tourists alike. Find classic gelato flavors along with Ciao Gelato’s experimental flavors like Forrest berry and chocolate, chili chocolate or lemon cookie.